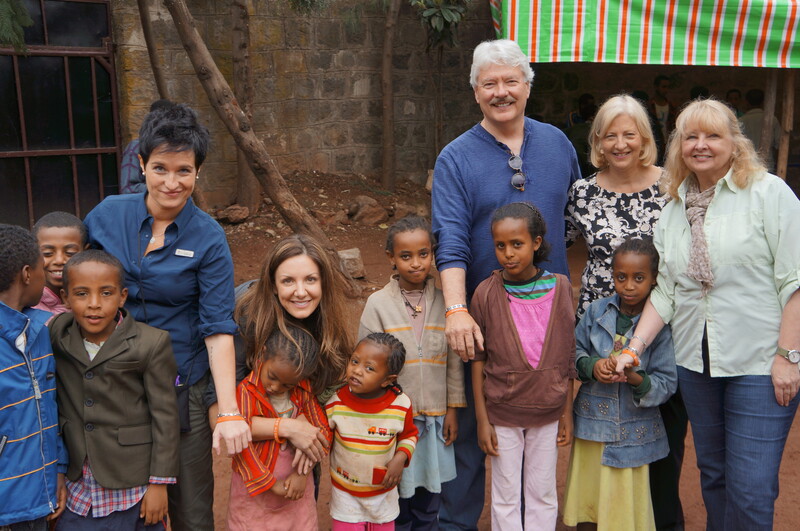 Our next stop took us to Hope for Children, a development program, connected to Share our Strength, that invests in Ethiopian youth by providing care, education and development for orphans and homeless children. It’s funny how we are all connected. Joni and Wally are on the board of Share Our Strength, Amanda is helping build Share Our strength’s movements through her company, Amanda was connected to Jeff with Global Hope Network International, and that’s what brought us all here. Then, Joni and Wally reached out to Chuck and Carol, long time friends from Share our Strength who manage Project Mercy and Hope for Children in Ethiopia. 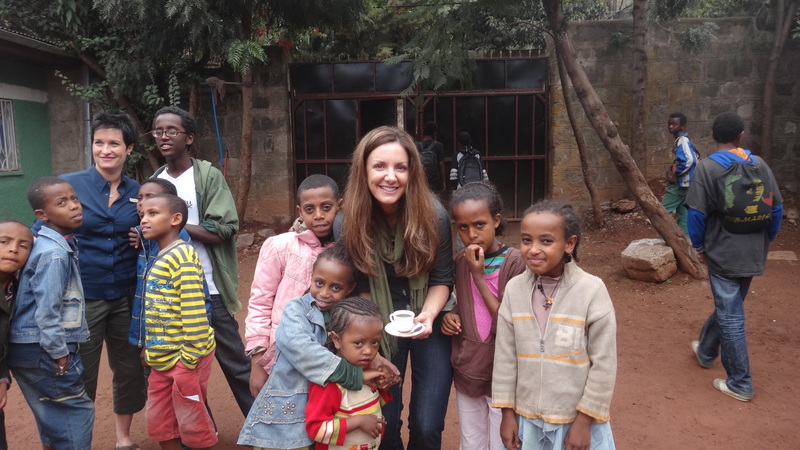 They commute between DC and Addis Ababa to help these children have hope for a better life. As luck would have it, we were all here at the same time and had the privilege of seeing the program in action, hearing directly from the students, most who have lost both parents, how powerful this program is in changing their lives for the better. The experience was inspiring. That morning, the kindergardeners had just graduated, and the grade 12 students had prepared speeches, cultural dances and an art show for us; they also hosted us with a traditional Ethiopian Coffee Ceremony. Many of the students spoke better english than some American students. They were hungry for knowledge, connections and a better life. After spending time with the orphans, students and teachers, we went to dinner with our friend Muhabab, the coffee exporter at a local middle eastern restaurant. 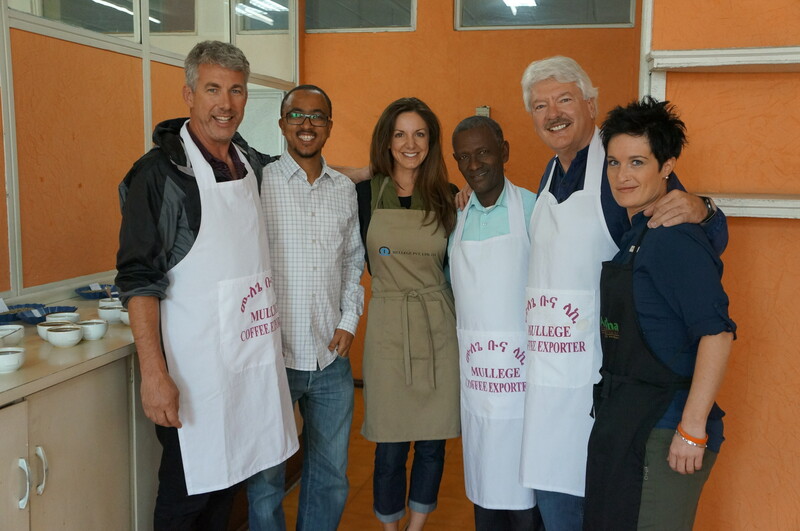 We tried new foods, got to know each other, and enjoyed wrapping up a great stay in Addis Ababa.